One of my favorite ‘Trunk Show’ advertisements. You can just imagine what will pop out of this trunk! A Trunk Show is a special event that allows people to come see items that are not normally in circulation or on display. Think of the days when merchants carried all their goods in a suitcase or trunk to showcase their wares, and then mix that with today’s age of technology where much of what we aim to create is viewed on a flat screen, and you can begin to imagine the appeal of touching and feeling the garments and accessories that artists such as pattern designers and yarn dyers create. Some of my favorite garments on display at last Saturday’s YOTH Trunk Show. 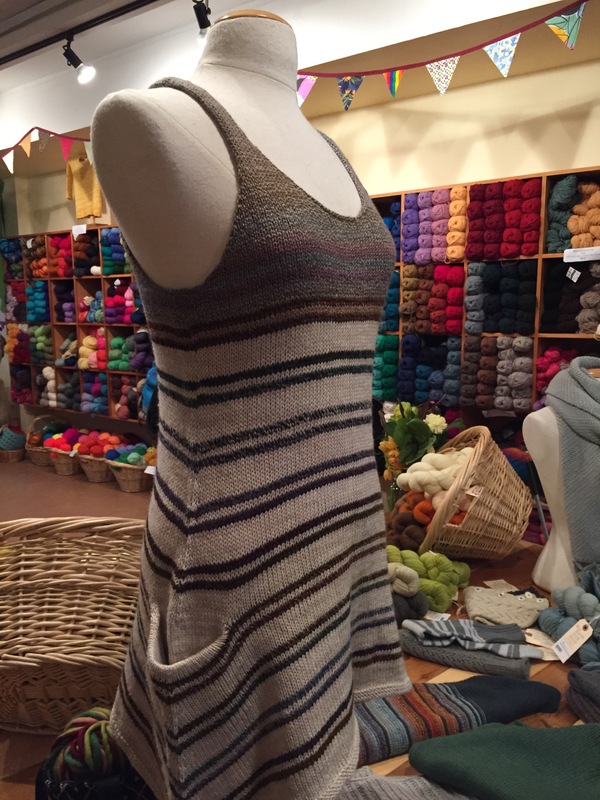 Seeing the garments knit from yarns and patterns available in store displays the magic that comes from the perfect pairing of material+design. It can also inspire creativity in colour combinations and yarn choices. 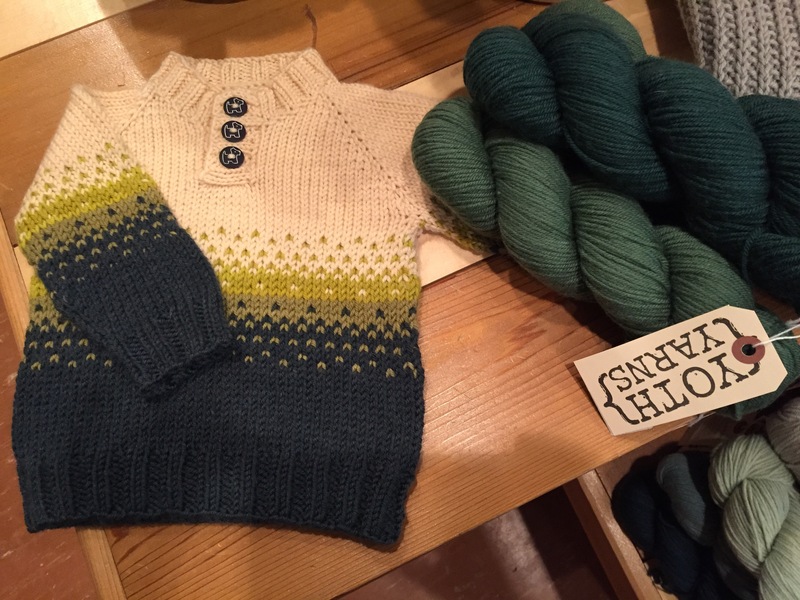 Our FOCUS ON LOCAL Trunk Shows will be bringing fibre artists from the Pacific Northwest (and some from as local as from our own backyard) to present their designs for one night only, once a month for the rest of 2016. Each month will focus on a new artist(s) and they may also make a special presentation such a lecture or class over the weekend. Veronika sharing some of her Knitting Secrets at the pre-show special presentation. 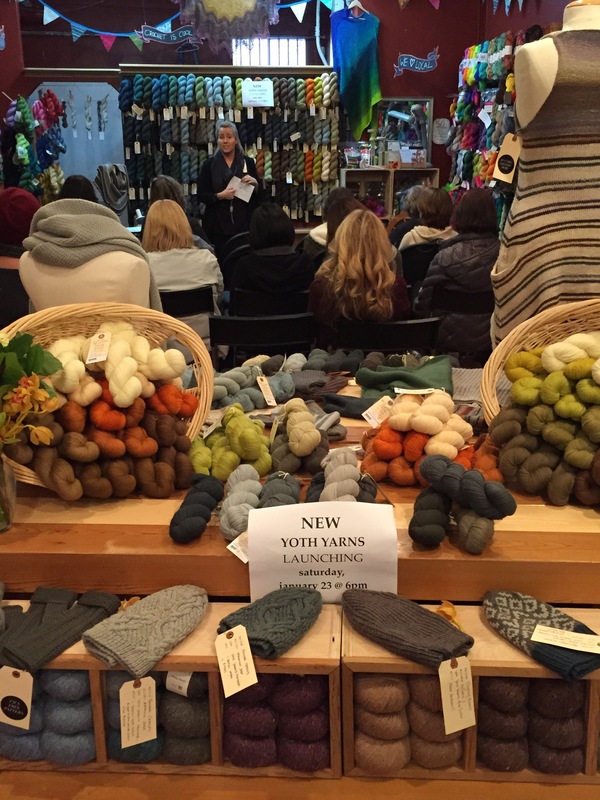 Together we aim to build a stronger connection between knitters, crocheters, weavers, felters and other local fibre artists, and celebrate our local talent. Come join us! MARK YOUR CALENDARS: Our next FOCUS ON LOCAL Trunk Show is happening on FRIDAY FEBRUARY 19th. 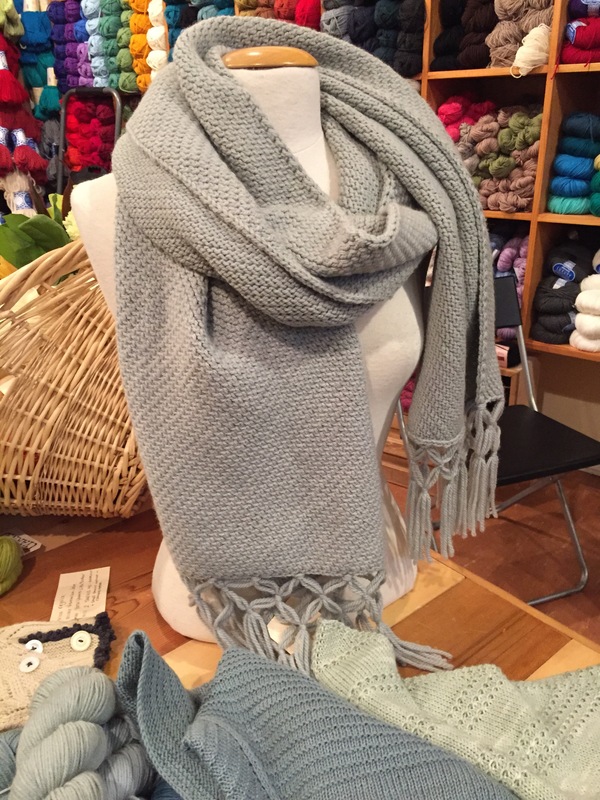 We will feature Andrea Rangel from Victoria, and she will also be presenting a special one-time only class on THE FINE ART OF YARN SUBSTITUTION on February 20th.